What a fantastic weekend we had when in Scotland. The coaches held both swimming and fitness training sessions for the swimmers including a demonstration from a Scotland swimmer. The swimmers also had an informative session to help them understand what was expected of them as an elite swimmer. There was also a great session from one of the parents who is a podiatrist on the potential issues our swimmers could have with their feet. An evening of friendship and fun was held on Saturday night. Our fantastic hosts had arranged a great meal, a disco with our very own DSS-GB DJ Reuben and a fabulous goody bag of Scottish treats. We were even provided with a taste of traditional haggis, neeps and tatties on Sunday lunchtime. As well as all that we managed to cram in a committee meeting to make sure we’re keeping everything on track and a really constructive parent and carers meeting was held. We would like to say an enormous thank you to the members’ families who organised the event. A living demonstration of that fact that We are The Team! It is unfortunate that a previous Volunteer, Mr Steve Birchmore, has a grievance with DSS-GB and it has been brought into the public domain. We feel due to the one-sided nature of the comments and the factually incorrect information, that we should clarify our position. Mr Birchmore was asked to stand down after his continued misconduct over an incident on Facebook. At the time, Mr Birchmore was serving an active disciplinary notice. His continued misconduct, supported by the terms of the disciplinary notice, led to the decision to remove Mr Birchmore from any Voluntary role within DSS-GB. This motion was made by the previous Trustees. New Trustees were appointed in April of this year and in light of further evidence of misconduct, they agreed that the motion to remove Mr Birchmore from any active sub-committee or management role would not be revoked. Mr Birchmore has taken umbrage with DSS-GB asking him to remove or change the name of his FB page, which impersonates the DSS-GB official page. On this page, in February of this year, Mr Birchmore stated: “This page is not governed by the Charity DSS-GB and we do not speak for them.” Mr Birchmore’s refusal to change the Facebook page name to reflect its ownership has undoubtedly led to confusion. Now, unpleasant and factually incorrect information is being deliberately shared on social media platforms by way of retaliation. DSS-GB have not stopped anyone who was selected to compete in Canada from swimming for us. A full selection process was followed by the DSS-GB coaching staff, of which Mr Birchmore was a panel member. For any swimmers not selected, an appeal process was offered to them and their families. To date, no appeals for any swimmers, unsuccessful in the selection process, have been registered with DSS-GB. Mr and Mrs Birchmore chose to withdraw their son Billy from the DSS-GB team selected to compete in Canada. It has been formally acknowledged by DSISO that the responsibility for Billy not swimming in Canada lies with his parents. Both DSS-GB and DSISO have encouraged Mr & Mrs Birchmore to resolve this issue to allow Billy to compete in Canada as part of team DSS-GB, to no avail. DSS-GB will be supported by a poolside team fully qualified with appropriate and recognised coaching and safeguarding qualifications. DSS-GB will continue to work closely with the various sporting bodies and partnership agencies to deliver opportunities to all members, volunteers and families in a respectful, safe, fair and transparent way. Congratulations to all the DSS-GB swimmers for their fantastic performances and great attitude. As much fun was had out of the pool as in it. A huge thank you as well to all the volunteer coaches and support staff who make all this happen. Next stop – the world championships. Let’s show the world what we can do! Below is the official team list to represent Great Britain at the 9th Down Syndrome World Swimming Championships to be held in Canada in July 2018. ** These swimmers have certain criteria to meet before April 23rd and their confirmed selection is subject to this. Huge congratulations to our multi-award winning coach, Andrea Manson, who has been recognised in the New Year’s Honours list for her contribution to disability sport. Andrea is one of our non-parent coaches who gives up her free time and annual leave to support our swimmers on the national and international stage. The honour is well deserved and all members of DSS-GB are grateful not only for the expertise which Andrea brings but also the rapport she builds and the fun she brings to our training events and competitions.Andrea who received a BEM (British Empire Medal) said of her award “I feel honoured but delighted to be recognised for something that I enjoy doing. Working with people with a disability can be very rewarding and I enjoy helping them reach their goals and achievements.”We are always on the lookout for talented swimmers to come and join the squad. There are minimum qualifying standards for international competition which can be seen here. If you can swim at or close to these times and have either T21 or Mosaic Down syndrome and would like to get involved, please email membership@dss-gb.org. Both swimmers wowed the crowds and showcased British talent on a new international world stage at the Inas event, made possible through a new collaboration announced recently by the UK Sports Association for People with Learning Disability (UKSA) and Down Syndrome Swimming GB (DSS-GB). Led by GB Team Manager, Keith Holmes (Colchester, Essex), supported by Head Coach, Steve Birchmore (Bickley, Kent), the team were one of 20 countries competing at this important event, the coverage of which was broadcast live through livestream online. McCillen went on to say: “Congratulations are also in order for DSS-GB for their preparation and selection of the team. Clearly, their work is producing some world-class swimmers. I am delighted that we are working with them, the team did GB proud”. The UK Sports Association for People with Learning Disability (UKSA) and Downs Syndrome Swimming GB (DSS-GB) are pleased to announce their new collaboration resulting in two swimmers being selected to represent Great Britain at the Inas World Swimming Championships in Mexico, 27th November to 4th December 2017. Preparing for tough competition at one of Inas’s top World events and making their international debut for Great Britain at an Inas Championships are Billy Birchmore (Bickley, Kent), and Mark Holmes (Colchester, Essex). Birchmore and Holmes are members of Orpington Ojays and Colchester Phoenix Clubs respectively. The GB Team will be led by Keith Holmes, Team Manager (Colchester, Essex), supported by Head Coach, Steve Birchmore (Bickley, Kent). Great Britain is one of 20 countries competing at the 2017 Inas World Swimming Championships. Earlier in 2017, Inas introduced two new pilot classes at this Championships, one of which is for swimmers with down syndrome, which has made it possible for this GB Team entry. The event will take place 27th November to 4th December 2017, in Aguascalientes, Mexico. This is the first time that UKSA and DSSGB have collaborated to secure an entry at an Inas Championship event. The Great Britain Team is selected by DSSGB and managed in collaboration with UKSA. Billy Birchmore – Gold 200 Free, Gold 50 Back, Gold 100 Back, Gold 200 Medley, Gold 100 Free, Gold 200 Back, Gold 100 IM, Gold 50 Free. Ellen Stephenson – Gold 50 Back, Gold 200 Free, Gold 100 Back, Gold 100 Free, Gold 50 Free, Gold 100IM, Bronze 50 Fly. Caroline Faithfull – Gold 800 Free, Silver 200 Free, Silver 200 Back, Bronze 100 Free. What a wonderful weekend! A big thank you to Neil McDonnell and family for arranging such a great event. The taxi service was much appreciated. Also big thanks to the coaches who do such a marvellous job for the whole team. An extra special thank you to our guest coach Nick Gillingham who showed the team his Olympic medals and gave the swimmers an inspirational talk. This means so much to our team and will inspire them to reach their goals in the upcoming European Championship. Last but not least a big thank you to the new swimmers. Welcome, we’re glad to have you and all the parents new and old who support all the swimmers. 21st September 2017 Breaking News!! UKSA have agreed this morning in, conjunction wit DSS-GB, to send a team to the INAS World Swimming Championships in Mexico between 27th November and 4th December. Furthermore they have allocated a para development officer to work with DSS-GB. 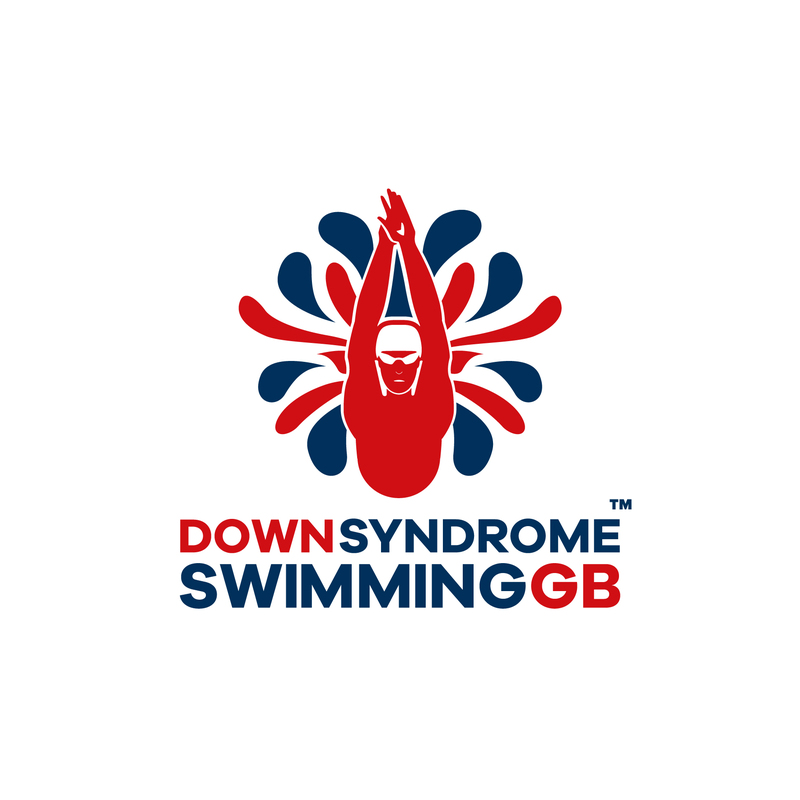 This makes us part of a structure with many bodies in the UK and abroad and gives us a fantastic voice for Down syndrome swimming in para sports. UKSA have gained an extension for entry and a possible reduction on criteria for Down syndrome swimmers but no change on qualification times. We hope you can see this is a massive step forward in our aim to get our swimmers where they rightly belong – in the Paralympics. The 9th DSISO World Swimming Championships will be taking place in Truro, Nova Scotia, Canada between 21/07/2018 till 26/07/2018. The above times are DSS-GB qualifying and consideration times for the World Championships in Canada July 2018. The qualification times are the standard we would expect you to achieve as a DSS-GB squad member wishing to attend. These are harder times than the event published times. The competition is a five day competition and we require you to participate in at least one event per day which means you will need a minimum of five qualification times in order to be part of the selection process for the team. If you have achieved consideration times the Coaches will consider this time as part of the selection process at the time of naming the team. The programme is on the DSISO website and you will see that there are also 25 metre races. 25 metre races are for junior swimmers only (16 and under on the first day of competition). If you do choose the races as a junior you will be restricted to further types of events you can compete in at the Championships. The details of the junior qualification process is on the DSISO website and I would suggest you discuss this with the coaches if you are unsure. The qualification timeframe is currently 1/10/2017 until 1/6/2018 although this could be subject to change as we may well bring this forward due to the organisation logistics after we have named the team. If you are anyway confused or want help please contact either Neil, Steve, Andrea or Sandra. DSS-GB would like to convey a huge thankyou to all the clubs mentioned and the hard work the coaches have carried out in order to get the swimmers to Paris. The journey has begun #roadtoparis. The GB coaching team were delighted to welcome 31 swimmers to the training camp in Nottingham this April. There were plenty of “old hands” amongst the swimmers to help get the new swimmers organised and to help them to join in. Saturday started with a land training session. The swimmers will all receive copies of the exercises so they can practise at home. There was a great pool session later in the afternoon with time trials for those wanting times for the European Championships in Paris. We all then headed off to the pub for a meal and some social time for both swimmers and carers alike. An early start on Sunday for another session in the pool. Each individual swimmer ended the camp with things to work on to improve their performance. There were a lot of snoozy swimmers on the way home on Sunday. Luckily we had Bank holiday Monday to get over it. With enormous thanks to the coaching team for their dedication and commitment to the swimmers and to Team Manager, Keith Banks, for all his hard work in organising the event. Our Coaches are Amazing Too! GB Coach Andrea Manson was unable to join her swimmers for the DSSF event in Southampton. She was busy back at home in Dumfries and Galloway collecting TWO coaching awards. One was was for Disability Coach of the Year, for the work she does with the local swimming club. The second was Performance Coach of the Year for her work with Team GB. Andrea is a really popular and dedicated member of the GB coaching team and is much loved and respected by swimmers and careers alike. These awards are really well deserved. Congratulations Andrea! The Down Syndrome Swimming Federation always organise a fabulous celebration of European competition. This year was no exception. Swimmers attended from countries such as Russia, Estonia, Spain and Sweden as well as England, Scotland, Ireland and Wales. The competition was fierce! PBs were set, records tumbled, old friends met up and new friendships were made. There was intense rivalry in the water and great camaraderie poolside. New international alliances were forged when making up the relay teams. All the swimmers from DSS-GB, their supporters, families and carers would like to say an enormous THANK YOU to Sue Barker and her team for yet another fantastic event. This event is always really well organised and efficiently run. One of the highlights of the Down syndrome swimming calendar. A fantastic, fun filled training camp was held which 26 swimmers attended. A huge thank you goes to coaches Neil and Nicola Lacey for organising it. Despite being given only a week’s notice that the pool they had booked was unavailable, they managed to organise alternative venues to keep the team busy for the weekend. It meant that we all had a day trip to the Isle of Wight where a school gym and a local pool were made available for land training and swimming coaching. It certainly added to the excitement of the weekend. The swimmers all enjoyed the land training with a former member of Team GB before heading off to the pool. The GB coaches worked them hard and made sure every swimmer went home knowing what they needed to focus on to improve their performance. We had a really sociable evening meal in a local restaurant where the swimmers, parents and carers met up with old friends and made some new. It was a very tired group that headed back over to Portsmouth on the hovercraft that evening. With no pool available for Sunday morning despite Neil’s best efforts, some kind volunteers took the swimmers bowling whilst the parents held a meeting about the aspirations for the organisation and the plans for the coming year. Top of the bill was a fabulous, inspirational talk by Mike Goody, a multi gold winning medallist from the Invictus Games who is also an ambassador for the STA. Find out more about him here. Mike told us his story and the many challenges he had overcome to pursue his love of swimming despite a devastating injury received whilst serving in Afghanistan. He spent a lot of time answering the (many) questions from the audience and stayed afterwards for some great one to one chats with the swimmers. They all share the dream of meeting up again at the 2020 Summer Paralympics in Tokyo.